Charles Cagill entered a 100 acre Land Grant located on Buffalo Creek adjoining Jacob Stutz. John Kagill and Leonard Kagill were chain carriers. Jacob Stutz received a 100 acre Land Grant located on Buffalo Creek. John Kagil and Leonard Kagil were chain carriers. Leonard Cagle received a 200 acre Land Grant located west of Buffalo Creek. Leonard Cagle and wife Susanna deeded Steven Richardson a tract of land located west of Buffalo Creek. Bartholomew Dun and William Garner were witnesses. Proven by Bartholomew Dun Jan 1775. Leonard Cakel was appointed to serve Jury Duty next term. Ordered that Leonard Cagle be appointed overseer of the road from Searcy's Ford to Cotton from Bear Creek at Wm. Gardner to the County Line and have the following hands to work: Wm. Gardner, Peter Gardner, William Wilson, John Hare, Adam Comer, and Leonard Cagle's sons. Leonard Cagle received a 50 acre Land Grant located on Bear Creek adjoining his own line and William Garner. Adam Comer and George Cagle were chain carriers. Leonard Furr received a 50 acre Land Grant located on the both sides of Buffalo Creek adjoining Leonard Cagle Senr. Christopher Stuts and John Spivey were chain carriers. [S1254] The Cagle Family in the South to 1850, North Carolina [2nd Edition], John G. Cagle, (1997, Published by John G. Cagle, Box 55342, Little Rock, AR 72215), vi and 241. 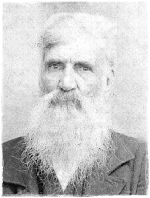 Leonard Cagle, who married Susanna Richardson in Cumberland County [now Moore] and migrated to Montgomery County [now Stanly] in the 1790's and to Clarke County, GA in the early 1800's. This Leonard, it is believed, was Leonard Jr., probable son of the immigrant Leonhart Kegel...1768 Land Entry in old Cumberland County and appeared in the 1790 Moore County Census. Moved to Montgomery County between 1795-1798 and appears in 1800 census. Moved to GA by 1803 and is presumed to have been the Leonard Cagle who appeared in the 1805 GA Land Lottery. May have died in GA, though one tradition says he returned to Montgomery County and died there in 1814. All of most of his descendants were gone from Montgomery County by 1810.